Since 1969, Clearwater Auto Recycling has provided high quality recycled auto parts and superior customer service to thousands of customers, including auto mechanics, auto body shops, dealerships and individuals. 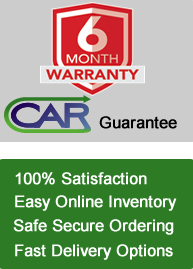 As a reputable buyer and dealer of used auto parts, Clearwater Auto Recycling sells parts with a satisfaction guarantee. This service integrity is unsurpassed in Pinellas, Pasco, and the surrounding Tampa Bay areas. In conjunction with housing thousands of auto parts on-site at our 36,000 square-foot warehouse in Largo, Clearwater Automotive also offers a wide selection of vehicles for sale on our seven-acre property. We additionally have two wrecking yards in Pasco County to accommodate our growing inventory. We strive to offer a vast selection of cars and auto parts coupled with excellent service and low prices. Clearwater Automotive is fully equipped to supply your repair needs for late model car parts and after market car parts. Our friendly staff can find and sell any auto part for any make and model, including classic car parts. Inventory Search: Easily search our huge selection of new and used parts for both domestic and foreign cars, trucks, and vans. 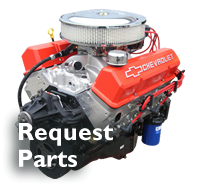 Request Car Parts: Just ask Clearwater Automotive to pull the part for you. Our state of the art computer system will track down even the hardest to acquire parts. Sell Your Car: Clearwater Auto Recycling buys junk cars and wrecked vehicles. Contact us today, and we’ll pick them up for FREE.